Cebek FE-134 module is a single rail 12VDC stabilized power supply. It can deliver a maximum of 2.5A, the output is fully regulated and short circuit protected. 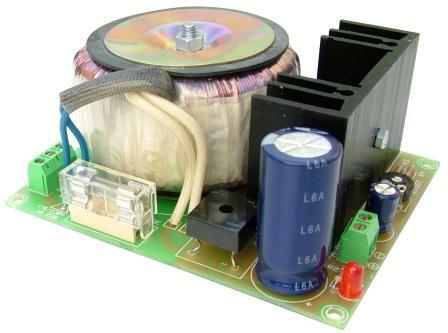 A PCB mounted pre-set potentiometer is supplied to adjust the output voltage (11.5-15.5 VDC), to allow for long cable runs and supply voltage variations. The FE-134 module has a small toroidal transformer mounted on the circuit board. and LED to indicate its operating.